We all long to belong, especially those in positions of leadership. But deeply rooted shame can keep leaders from connecting authentically and vulnerably. Reverend Will van der Hart and Dr. Rob Waller-an experienced church leader and respected psychiatrist-integrate the story of Scripture with the science behind mental health, offering real steps for transformation. When leaders know that they belong to God-when they develop a deep sense of security in Him-they can overcome constricting shame and lead with confidence. 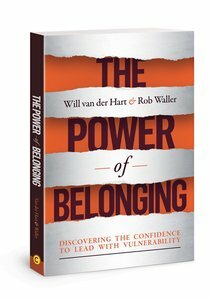 About "The Power of Belonging: Discovering the Confidence to Lead With Vulnerability"